Our bones are hidden within our skin. The studs of a building are covered by drywall. The boning giving structure to a tailored garment is hidden within the seams. But, in this case that is not the case. 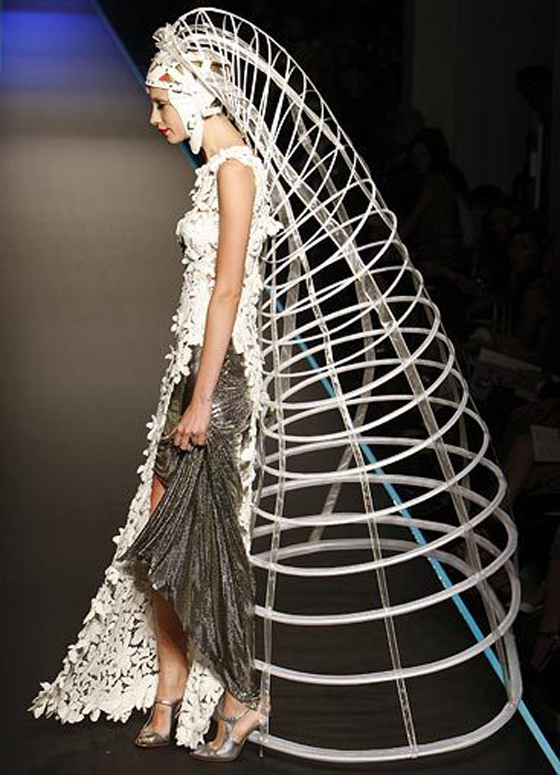 This unique design by Jean Paul Gaultier strips the fabric away. This design showcases boning, which is typically covered up, as a focus of the fashion. Ask yourself, why cover the structure? Why not make the structural form the creation; the art; the element of design.